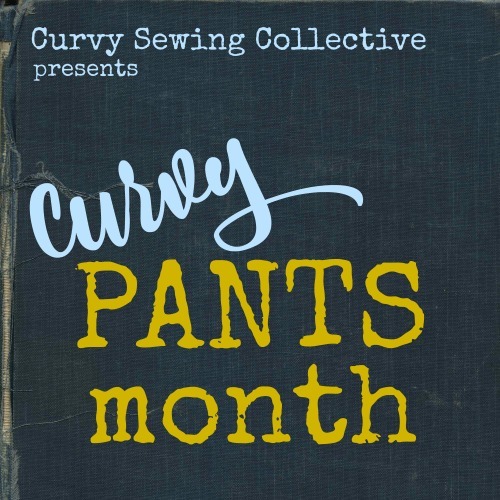 Do you love vintage patterns, but can’t find any in your size? 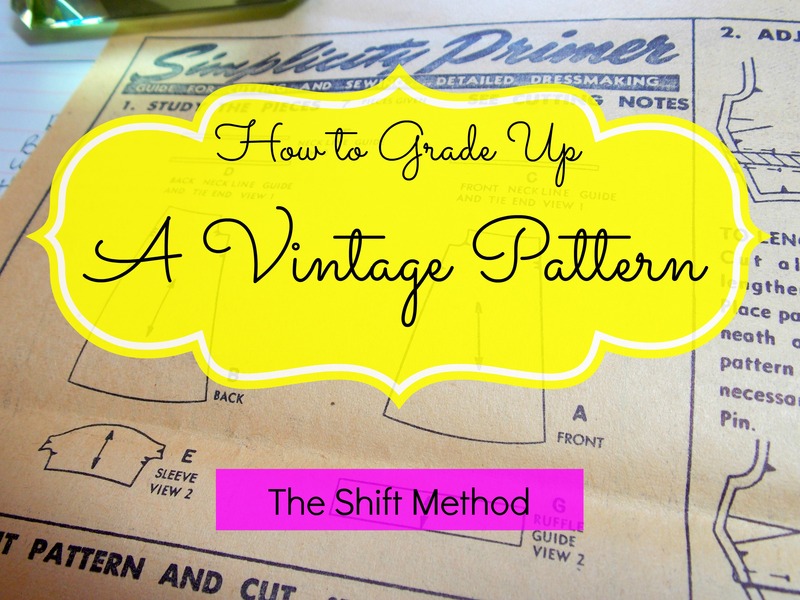 Well, you’re in luck, as I’m going to show you an easy way to grade up a simple vintage pattern. Disclaimer: I am not an expert pattern drafter. Take caution when grading up a pattern. To demonstrate this method I’m using a one-size vintage pattern. This simple dress pattern is not fitted, so there’s a bit more leeway when grading it up as opposed to a more complicated, fitted garment. I am grading this pattern up several sizes, but many pattern sources suggest only grading up one or two sizes. This is just one method of grading a pattern, there are many other methods to do this. I like to use Swedish tracing paper for vintage patterns. You can use whatever kind of paper you have on hand. I also used a solid ruler (not pictured). I use the sharpie to make permanent markings on my tracing paper. I also made my pattern weights (tutorial here). I use those to hold the tissue paper down when tracing. This is a vintage 1950’s peasant dress pattern that pretty much looks like a big old tent without a belt. I haven’t quite decided whether I’m going to make an elastic waistline or just rely on a belt. Without a belt it reminds me of a mumu. As you can see, it’s a pretty simple design, which made it a good contender for this grading method. Yes, this is a small pattern, so obviously it’s not going to work for me. When I was searching online for a 50’s peasant dress pattern last year, this was the largest one I could find. Now we need to figure out how much we’re going to grade this pattern up. Take your measurements and compare them to the measurements on the pattern envelope. Then subtract your measurements for each area (B-W-H) and record the difference (example: 48-36=12) and you have the difference in inches between you and the size of your pattern. Now take those measurements and divide each one by the number of seams in your pattern and you have the amount that you will grade your pattern up (example: 12/4=3). Lay your tissue pattern on your tracing paper. You may not have to use pattern weights, but I find that it helps me, especially since I have a ceiling fan going in my sewing room. Also, you don’t have to make or buy pattern weights. Use whatever you have lying around like a TV remote, your phone, a pin box, etc. Next, trace the center and bottom edges of your pattern. Measure the distance you need to shift your pattern from the original pattern using your numbers from Step One and move your pattern inwards from the bottom right corner. I went around with my ruler and measured each area to make sure it all matched up as I’m grading up this pattern significantly. Trace the upper edges and the rest of the pattern and connect lines. I like to use my design curve to draw the curves. You don’t necessarily need one for this, but it makes your life easier. After you prettied up your tracing lines, cut your pattern out and trace any markings you need. My pattern is pretty simple, so I didn’t have to do much. After this step, I pinned my pattern on my dressform and tested the fit. Yep, it was a big tent, but hey — it fit! This method doesn’t take into account things like armscyes, so if your pattern is more fitted, you will probably have to test out things like that that may have issues. With a fitted, more complicated garment, you’d probably want to make a muslin first to check the fit of your graded pattern. I understand that it’s difficult to see the tracing paper on my white sewing table, so here is my graded pattern all cut out. You may also notice that the corner of the skirt pattern does not extend out. That’s due to the width of my tracing paper. If I was grading this pattern for someone other than myself, I probably would have taped or sewn on another piece of tracing paper to finish the pattern. As this is only for my use, I just added a note and did that with my fashion fabric. Also, as my pattern does not have a regular bodice, I drew this diagram so you could easily see the process for the shift method. A few more things… as my pattern is basically just a big gathered tent dress with few pattern pieces, I did not spend the time to adjust the sizes between my measurements like I would do with a fitted pattern. The best way to do this would probably be to grade the pattern up in different places — like the bodice, midriff, skirt, etc — and then blend those lines together to create your new pattern following your shape. It can also be made easier by using a pattern sloper. 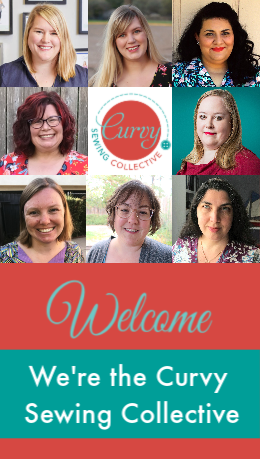 You would also need to take into account alterations like a full bust adjustment, armscyes/sleeves, etc — just as you would do with any pattern. The method that is probably the best for grading up patterns is the slash/spread method which I will be showing you in my next grading tutorial. You can use a mix of both methods when grading a pattern, and of course, it doesn’t have to be a vintage pattern — this method works for any pattern. Wondering how this dress turned out after the grading? Although it is sewn up and fits like it should (yes, like a big ol’ tent), I’m making this dress into a 1950’s Mexican inspired peasant dress, which means that I’m doing a bunch of embroidery. I am over halfway done with that though, so when it’s done, I will definitely be sharing my labor of love!! Still don’t think that grading vintage patterns are for you? Luckily there are so many vintage reproduction and retro inspired patterns to choose from! For some outfit inspiration, check out my post on Retro Dresses. When grading up a pattern, sometimes it helps superimpose a pattern that is your size for the armholes and other trickier bits. I have a really basic bodice and skirt pattern, a fitting shell really, and it is handy to help ensure that the grading up will fit. This shifting idea is great, I will try it next time for those vintage shapes. Thank you. When grading up, how do you know when to purchase more fabric than is indicated on the pattern envelope? This is assuming you aren’t working from stash…. I usually purchase a yard more than needed if I’m going up significantly (like this pattern). 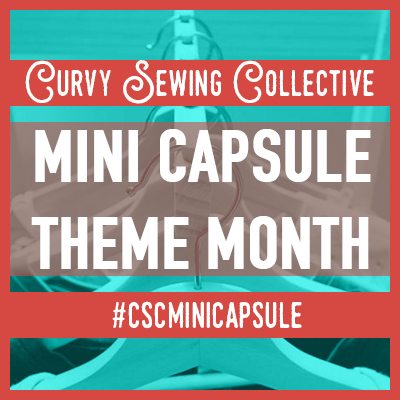 If you’re only going up a size or two, maybe 1/4 – 1/2 yd more. It’s hard to tell — at least for me– so I always purchase more than needed. For a multi size pattern, I look at the increments between sizes and figure out how much I would need from that. I loved your post and I understand it but I have a pattern I need to grade up by 2.75″ only in the waist and hips. However the front piece of the dress is cut on a fold. Your step says to trace the center After tracing the bottom. 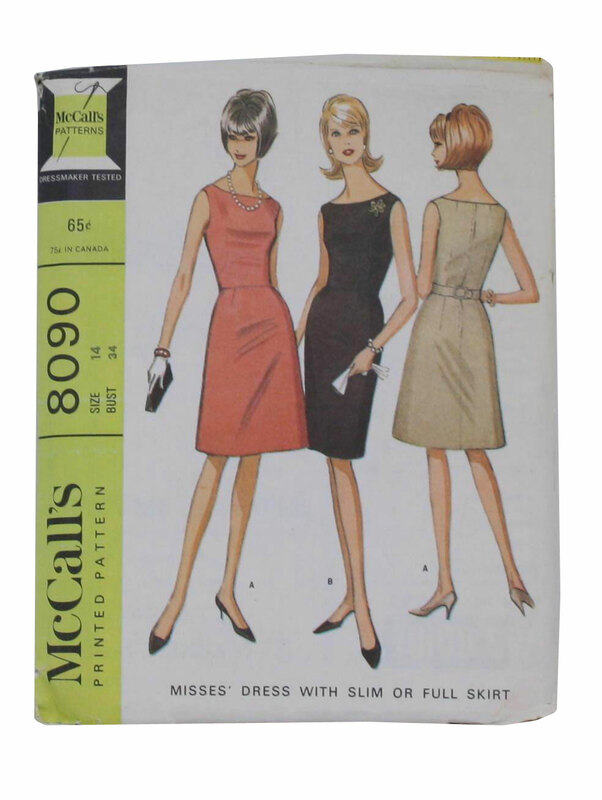 The pattern I’m using is not a vintage either it’s simplicity 1804. Can you please explain how to handle this? Also since I need to adjust the waist where the bodice will attach do I need to do any adjusting. According to your step one I don’t need any Adjustments. Just grade up the waist and hips and draw a sloping line from the bust to waist. If you baste this first (or make a muslin), you can adjust the fit afterwards and then sew it up. that I recently purchased–which grading method do you think would be best? Thank you! This was very clear. It opens up some possibilities. Yeah! This is a nice, clear tutorial. Just enlarging the pattern doesn’t make sense, as we don’t get proportionally taller when we get wider. It helps to find a place to widen the pieces that doesn’t cross over a dart or a crucial seam. When you can’t avoid this, you should pick the easiest one to change and cross that (a long dart is one thing to fix: a portrait collar is another). Another matter is complicated pieces. Sometimes I just trace the piece as is, and then mark that up/slice that up and work it out on a grid board. I took a couple of vintage patterns on vacation to scale up because I knew the house we were staying in had a HUGE dining room table I could commandeer (and there was no sewing/working allowed on the trip). I have a hard time not buying up vintage patterns that are roughly the same pattern (shirtwaist, big skirt, button down the front) and since I have graded up enough of them over the years, I just have to remind myself that even at $.25 apiece, it’s not a deal if I already own them. Yes, when you’re grading up, you need to mindful of the pattern pieces and how they will fit your body. For a more complicated garment, this isn’t the way to go, but for a simple bodice and skirt pattern it works fine. The slash and spread method (which I’ll be doing in my next grading tutorial) works the best for me with patterns like that. A lot of vintage patterns appeared in the thrift store here over the summer for only .25 each. Probably from the estate of someone who did a lot of sewing in the 60s & 70s. I took home a few that I really liked and thought I would actually like to make someday, assuming I loose weight and can fit into them, lol! This is a great tutorial and I think I’ll give it a try. Thanks! That was lucky!!! I sometimes find them in thrift stores, but more often in antique stores and they’re always small. At 25 cents I would have probably have bought all of them! I know…I’m kicking myself now. Of course the rest are long gone. I have been lucky here in the Midwest and have been able to find some more accomodating vintage patterns (many 18 1/2 and 20 1/2…love those half sizes BTW). That said, I still have to grade up on the lower half and I pretty much use the same technique as you have described here. I’ve also found some in my size on etsy, but they always cost more!